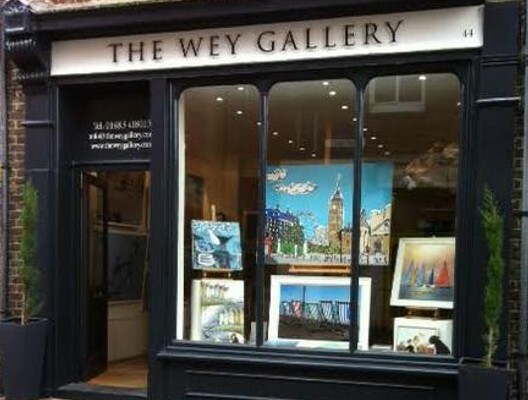 The Wey Gallery opened as an independent gallery in 2010, specialising in British Contemporary Art. 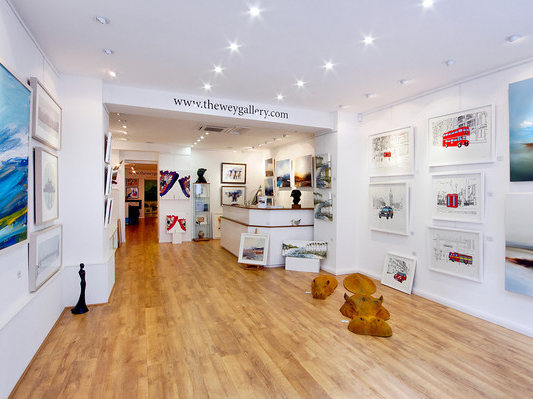 Situated in the picturesque town of Godalming, by the River Wey, the gallery offers a relaxed and friendly environment to view a wide range of Paintings, Limited Edition Prints, Sculpture, Glass and Ceramics sourced from across the Country. With a wealth of experience spanning over 30 years we are able to source and exhibit work by some of the UK’s most influential and collectable artists as well as always looking to introduce fresh and exciting talent. The gallery holds three or four major exhibitions a year and has recently introduced painting demonstrations, giving a unique insight into the artists’ techniques and inspirations. In between shows the gallery promotes it’s constantly expanding list of key artists with an ever changing display, so there’s always something new to see. We are here to help you find the perfect artwork, whether it be for your home, office space or a gift. If you have something particular in mind then why not let us source it for you. If you are looking for something a little bit different speak to us and we can talk to our fabulous range of artists who normally are more than happy to create a commission. We also are more than happy to bring a selection of art to your house or office space to offer our advice and to make your decission as enjoyable and easy as possible. Alternatively you are welcome to borrow the art work for a couple of days- we want to make sure that its exactly right for you and your environment! Being an independent gallery we can guarantee to match prices on all of our artwork as we have a very close link to all of our artists ensuring customer satisfaction. We are delighted to offer a stunning setting for a wide selection of artwork in our spacious and bright gallery in the charming town of Godalming, Surrey. We will be adding to our exhibition programme regularly, so for further information on future exhibitions go to our Exhibition and News page or join our mailing list to receive invitations and newsletters. Our entire collection can be viewed on our website and is regularly updated. We now also offer a bespoke Framing Service and can recommend a professional installation service. Please contact the gallery for further details.